A while back I was discussing with some folks about what small group of techniques formed the core of kihon in judo. For a while I have felt like it is a pretty small set but I havent been able to really pin down whether I think its 9-10 techniques or something like 5-6 techniques. Well, one of them said that in his opinion and understanding it was more like 1-2 techniques - and the first one was ukiotoshi! I thought, "Wow! That's probably the one technique I would have picked last for inclusion in a small set of kihon." I mean, really that's just a curiosity that crops up in the beginning of nagenokata, right? Just a semi-interesting high-amplitude kata demonstration throw, right? Ukiotoshi is a prime, fundamental demonstration of the otoshi concept - one of only about two distinct throwing mechanics in judo. There is not all that much that we actually do in judo tachiwaza other than try to otoshi the opponent and if that doesnt work, try to guruma them. 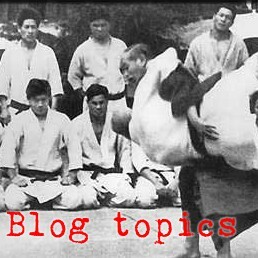 Ukiotoshi is the first technique in nagenokata - one of the "randori-no-kata" intended to teach/demonstrate something about randori. How many of us ever try to throw ukiotoshi in randori? 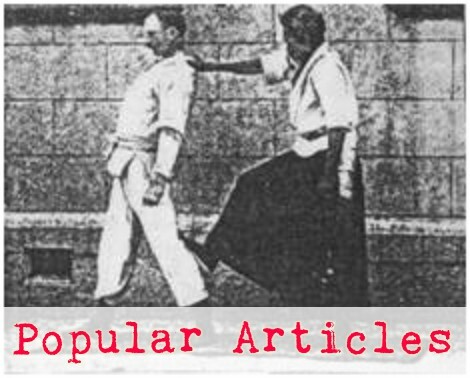 Ukiotoshi is implied within the first technique of goshinjutsu - the modern judo self-defense exercises. Ever thought about using ukiotoshi in "real self-defense?" In both nagenokata and goshinjutsu, it is the first technique, suggesting it sort of sets the tone or states the theme of the whole kata. Ukiotoshi (by other names) occurs in the koshikinokata and the itsutsunokata - two of the kata that are really supposed to epitomize the ancient roots and foundations of judo.